Sony has just announced previous rumored three new 4K camcorders: PXW-Z90, HXR-NX80, FDR-AX700 (B&H Photo). 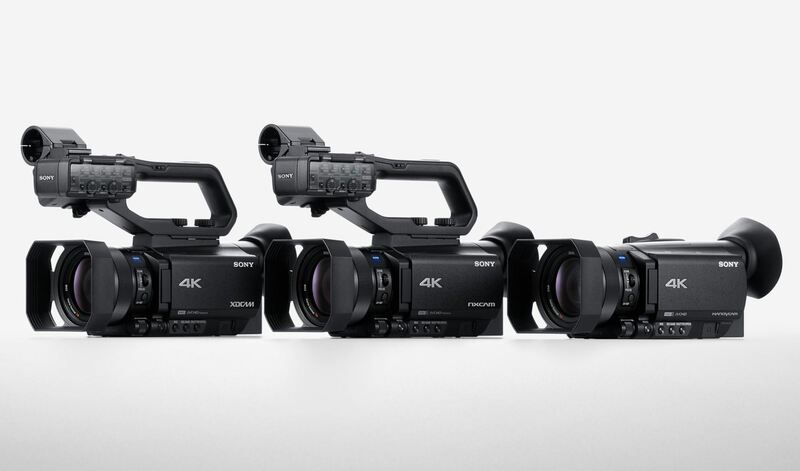 Featuring Sony’s ground-breaking Fast Hybrid AF system, all three palm camcorders combine a fast and reliable autofocus (AF) function adapted for shooting with a 1.0-type stacked Exmor RS CMOS image sensor, delivering stunning image clarity alongside a range of versatile shooting features. The new camcorders all support an instant HDR (High Dynamic Range) workflow, enabling users to produce breath-taking HDR content with minimum post-production to suit a range of content creation scenarios and applications. Previous Previous post: Sony RX10 IV now Available for Pre-order !